Announced at Sony’s Gamescom press conference was this little demo, created by 7780s Studio the game was named PT, a horror game that looked to have a dark storytelling; to be honest I didn’t really pay too much attention to it let alone having the desire to play it. Do you know what the most surprising thing about it was? It was all lies! Turns out that the PT demo was in fact a playable teaser for a new Silent Hill game and that 7780s Studio doesn’t even exist! Oh yes… now you’re interested! For some reason Konami felt the best way to announce it was in this subtle manner, however it was not obvious from the beginning. It didn’t take long after the demos release for people to figure out the cryptic teasers, and it turns out that Metal Gear Solid creator Hideo Kojima is teaming up with movie director Guillermo del Toro (who directed Blade 2 and Hellboy) to make the sequel that will be named ‘Silent Hills’. So I shut the blinds, sat in complete darkness with my trusted headset tuned in. Within 10 minutes I found myself having ‘Pause Breaks’ you know what I’m talking about, the demo is in first person and you wake up in a windowless dark room with a single door and a blood soaked brown paper bag, something is inside the bag as it does talk to you – Major trip out! Once you leave the room you’ll find yourself down an eerie corridor, and this is where you’ll spend the whole time. Trust me it’s enough. There is no music to the game what so ever, this adds an unparalleled level of atmosphere along with the uneasiness of you as a player as to what lies ahead, It really gives that ‘Don’t look behind you’ feeling. The groans of a dead women through an old radio, the crying screams of a baby in the distance and the bloodstains around an old bathroom, it’s all very disturbing and spine tingling; by the way have a look in the sink while you’re in there, a nice little surprise to look at! This is not a combat game if you’re wondering, there are no weapons or any sort of way to defend yourself because you don’t really have to, in fact the only button that does anything other than the analogues is R3 to zoom in. The objective is to figure out the cryptic puzzles without soiling yourself, this is challenging enough! Maybe on full release Kojima Productions should go into partnership with Huggies to include man nappies in the collectors edition! I have played previous horror games but this was on another level, maybe the first person concept just made you feel more immersed, maybe it’s the storyline that unfolds. Even worse is when you walk around the corner and see……………….. I’ll leave it there! If you’re hoping for a light play then don’t download this demo, it will make you jump, it will make you cringe and maybe give you a sleepless night. It’s difficult to review this as a normal game because it isn’t, there was a complete lack of any sort of traditional gameplay, but the atmosphere it managed to build was squeaky bum tense to say the least. 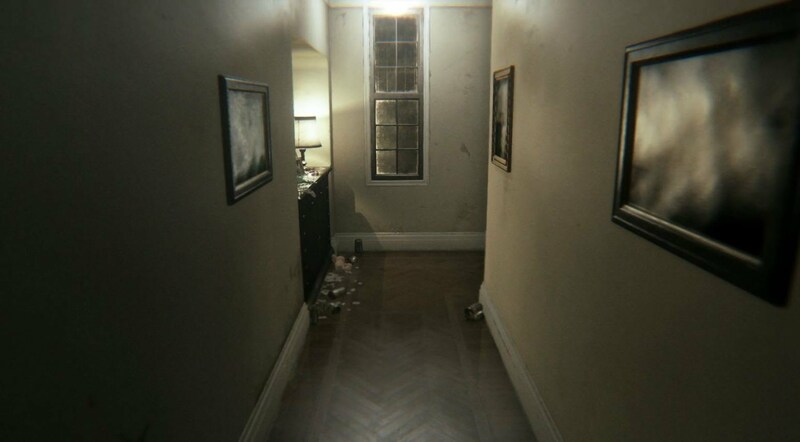 Hideo Kojima has stated that Silent Hills will make you sh*t your pants when it releases, can’t wait for that……..Fear factor, graphics ( as it was using Metal Gear Solids new Fox Engine) and lighting were a 10/10 but overall it was 9.